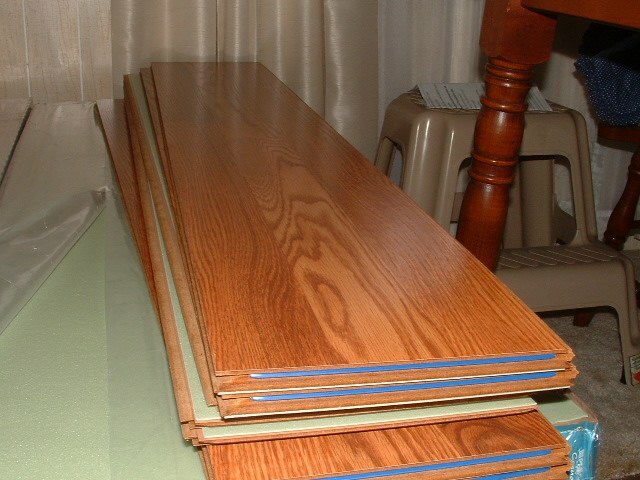 This Lowes Pergo, Casual Living laminate review is based on me installing this product for one of my clients. Although this is a Pergo product, I wasn't that impressed with it. The joints didn't always connect flush and the price seems high. 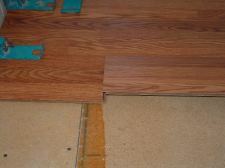 It was easy to install but that is about the best part of this flooring. Pergo Casual Living is sold exclusively at Lowes. This job was installed in a mobile home which is up off the ground. 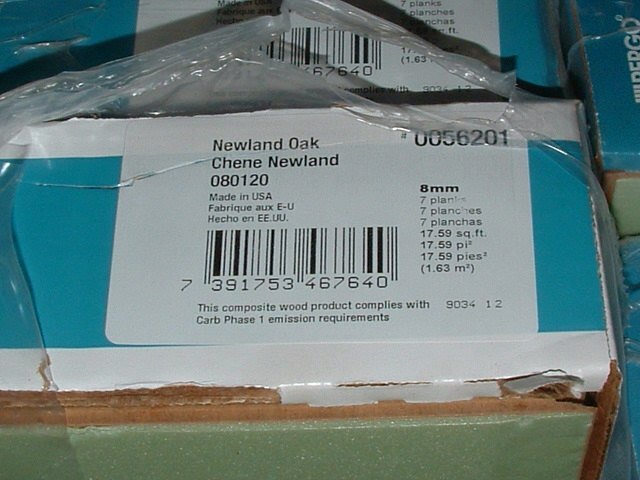 The thickness is 8mm, the color is Newland Oak. It comes with the padding attached on the back. The edges are square. 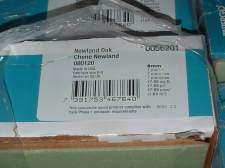 The regular price at Lowes was 2.97 per square foot. It was on sale at 15% off, which made the final price 2.52 per square foot. Thats not bad for a Pergo product. 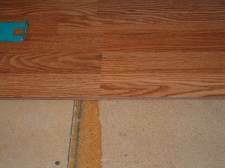 Buying the pad separate can cost anywhere from .25 to .65 cents per square foot. Being a veteran he also received an additional 10% off also. Keep that in mind if you happen to be a veteran. Pergo Casual Living laminate is easy to install with the drop and lock system. 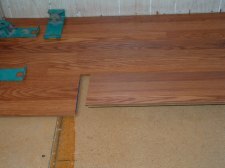 In most cases I didn't have to tap the planks together. There is a separate piece in the end grove that locks the planks together. As you can see in this photo to the left it is the blue insert that is spring loaded. 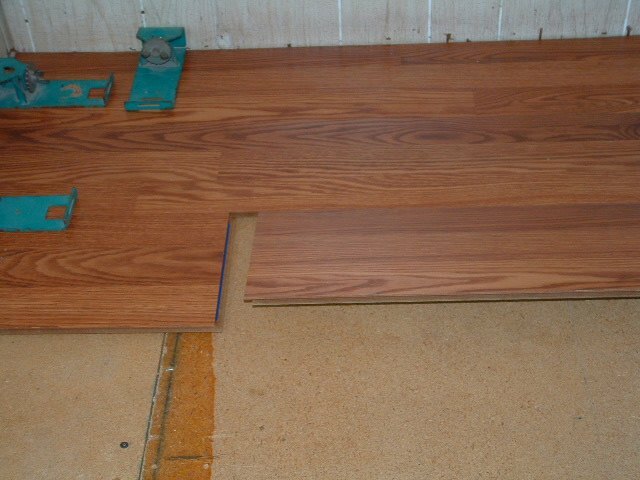 The process used to connect the planks together is easy without having to tap them together in most cases. 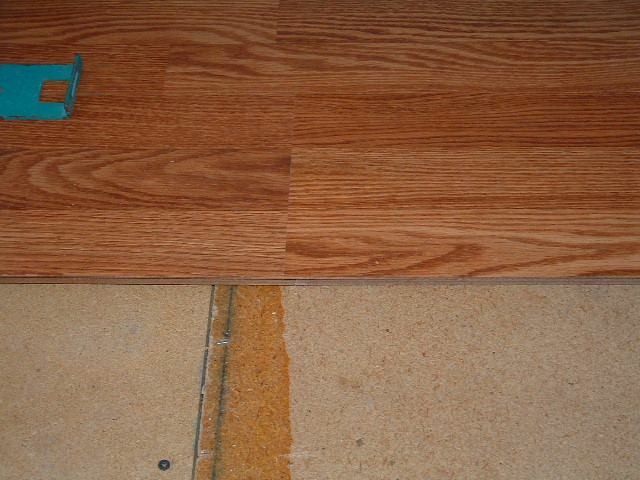 The first step is to connect the long side of the plank. After connecting the long side of the plank, slide the plank to where the end joint will connect. Slide it easy so it just touches the plank, leaving the plank tilted up as you can see in this photo to the left. The next step is to push the end down so it will lock in place. Once it is locked in place you cannot lift it up again. If you attempt to do this it will damage the end. If you need to remove the plank for some reason, start by disconnecting the long side at the other end working back to the end joint. 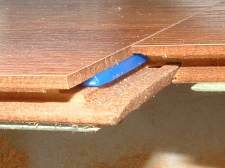 When the long side is separated slide the end joint apart to separate the end joint.